Without geography, you are nowhere. Any place on Earth can exactly be determined in geographical coordinates: longitude, latitude and altitude. Ancient sailing charts and modern digital maps such as Google Earth, use coordinates to easily determine or find a position. Cartographic symbols let you discover more on that specific place. Are there oceans or seas nearby? Is there a lake or will we hear the flow of a river? Does it look like a valley or rather steep with high mountains? Maybe it’s windy and will the sun shine all day? Important questions if you want to learn more about the “sense of place” as “terroir” is often called in other words. 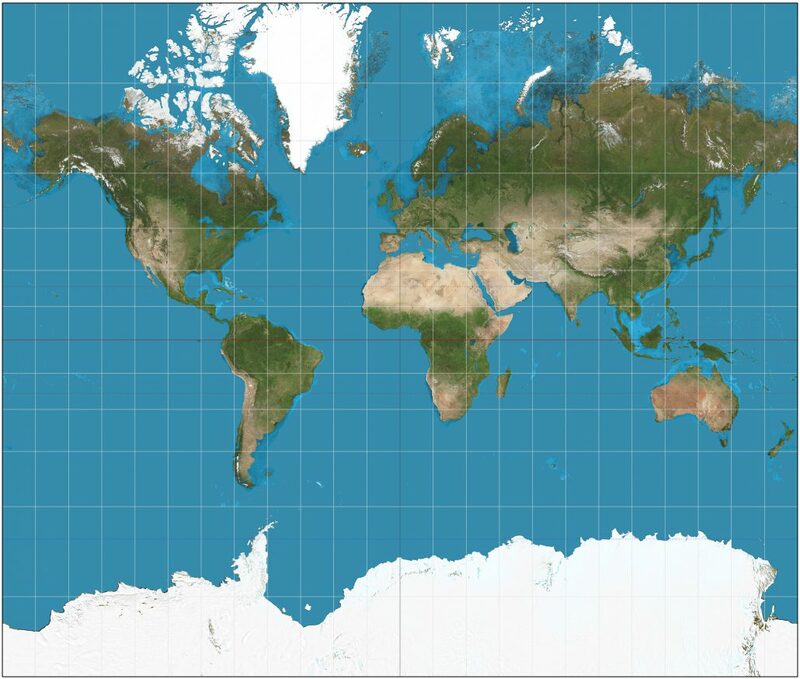 250 million years ago, Pangea, the super-continent, surrounded by Panthalassa, the super-ocean. Enormous energy blasts out from the center of our Earth, the super-continent breaks to pieces and neawly formed continents float apart. Thousands of decades pass, while vulcanic explosions, earthquakes and immense pressure kneads and moulds the landscape into mountains, ravines and wells. Water turns into gentle rills, wild rivers and mighty streams that carve their way to seas and oceans. Wind and water erosion make stone disappear and deposit it downstream as sand, loam and clay. Where is that place? What happened to it all these years, decades, centuries, millennia…? The answer is the first element of terroir. 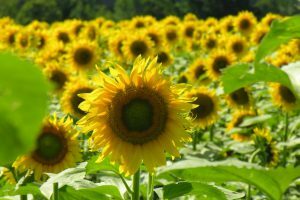 Light and heat are the engine of photosynthesis. Development of algae and plants paved the way for more complex creatures. The sudden extinction of the Dinosaurs, some 60 million years ago, is attributed to a meteorite impact that cluttered our atmosphere with dust and smoke, cutting off sunlight from the Earth’s surface. Plants died and the food chain crumbled. Light energy is the drive of photosynthesis in which a plant turns carbon dioxide into glucose. Water has an important role to play in this process as supplier of oxygen and minerals, vital to all lifeforms on Earth. Glucose, a kind of sugar, makes the building blocs for plants and let them grow, flower, bear fruits and sow the seeds so they can survive. Plant diversity is so rich, you find them anywhere on Earth but every species or variety has his own favorite biotope. On Earth sun-intensity is depending on latitude. The vine is well adapted to temperate, fairly moist climates. Extreme cold is deadly, as is extreme heat and drought. Currents develop by differences in temperatures between water- and landmasses, the attractive forces of the Earth and the Moon, Coriolis force of the Earth’s rotation and the long-term influence of the wind on the water surface. 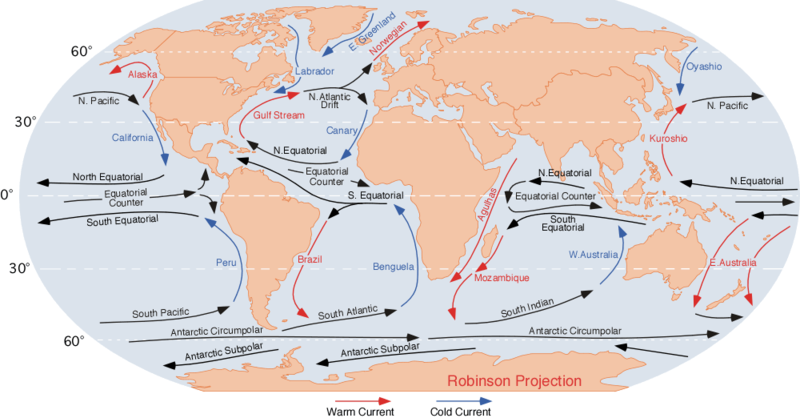 Ocean currents are 3D-circulations with a surface current and a depth current, known as thermohaline circulation. West-East circulation is caused by the constant rotation of the Earth, North-South circulation is the result of water-temperature difference between Equator and Poles. Surface-Depth circulation develops by gravitation and differences in temperature and saltiness of the water-masses. Topographic relief of the sea-bottom, orientation of land-masses and prevailing wind directions cause deviation in the general direction of ocean currents, so creating new local currents. The warm Gulf Stream, aka North Atlantic Drift, brings Europa a milder climate than expected in these latitudes. In the Southern hemisphere, the Antartic Circumpolar Currents and derivative currents as Humboldt, Benguela and West Australian bring coolness to areas otherwise to hot for viticulture. The sheer pressure of tectonic plates and the seismic power welling up from the Earth’s core formed the landscape over millions of years. Mountain ranges influence the surrounding landscape over hundreds of kilometers as far an eye can see. Their location, altitude and orientation effects on prevailing winds and precipitation. Eternal snow on top reflects sunlight and impacts temperature in a wide area around it. Topographic relief gives birth to glaciers, lakes, rivers and rills meandering the landscape and carving deep ravines and wide valleys.